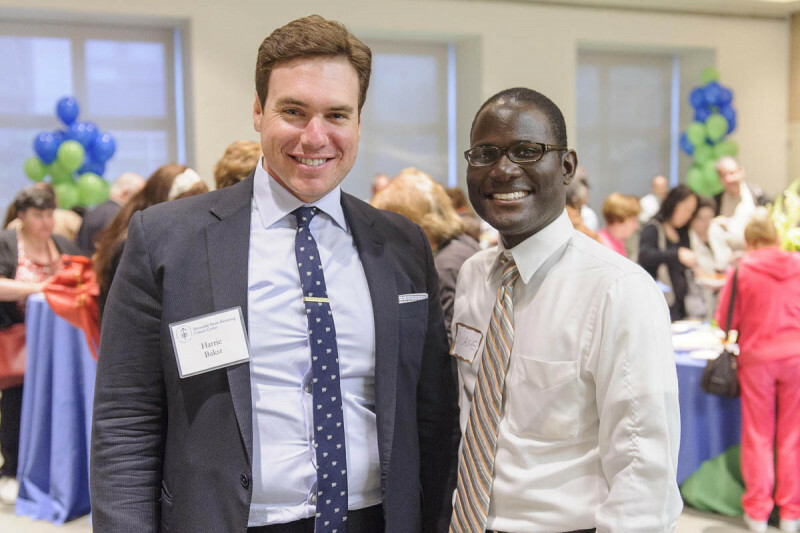 More than 2,000 patients and their guests, caregivers, and healthcare providers attended Memorial Sloan Kettering’s cancer survivorship celebrations last month. 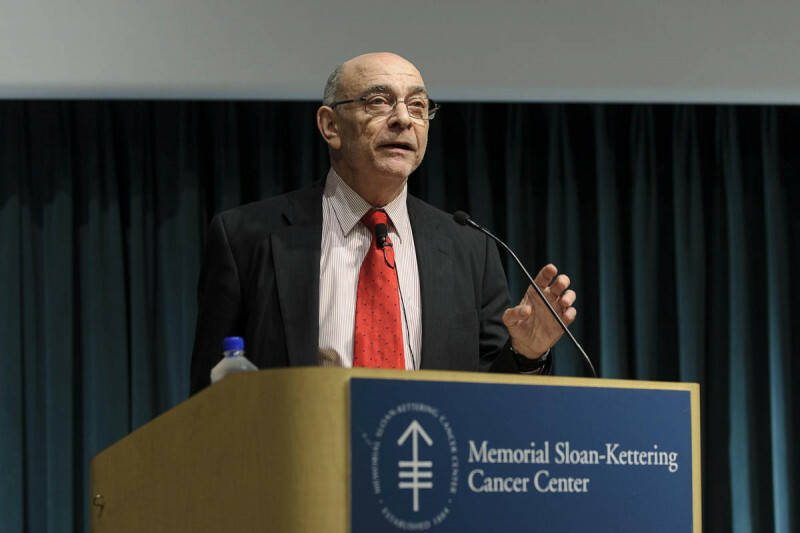 Manhattan Survivorship Celebration -- Physician-in-Chief Robert E. Wittes welcomes patients and their families to the Manhattan survivorship celebration – the largest Manhattan event to date, with 450 people in attendance. 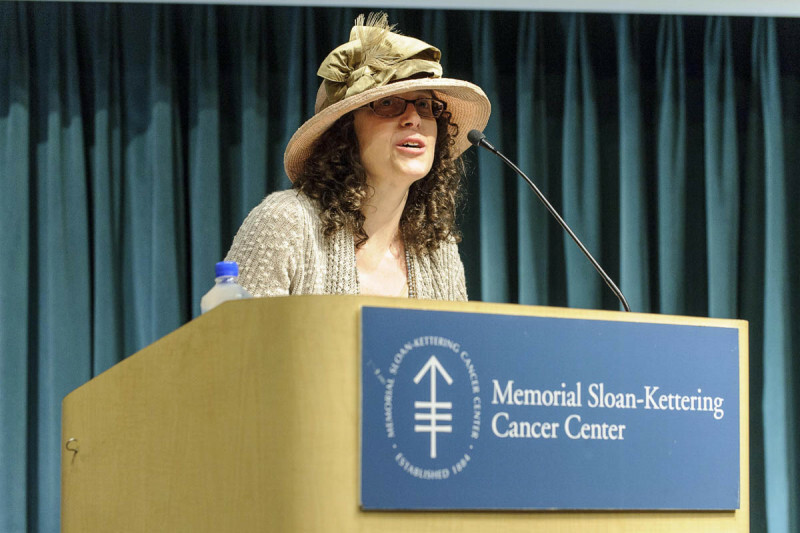 Manhattan Survivorship Celebration -- Speaker Laura Liberman, a cancer survivor and breast radiologist at Memorial Sloan Kettering, encourages survivors to put joy into every day. Manhattan Survivorship Celebration -- Speaker Harrie Bakst (left) greets Duane Bailey-Castro after having shared his experience of being diagnosed with cancer as a young adult. 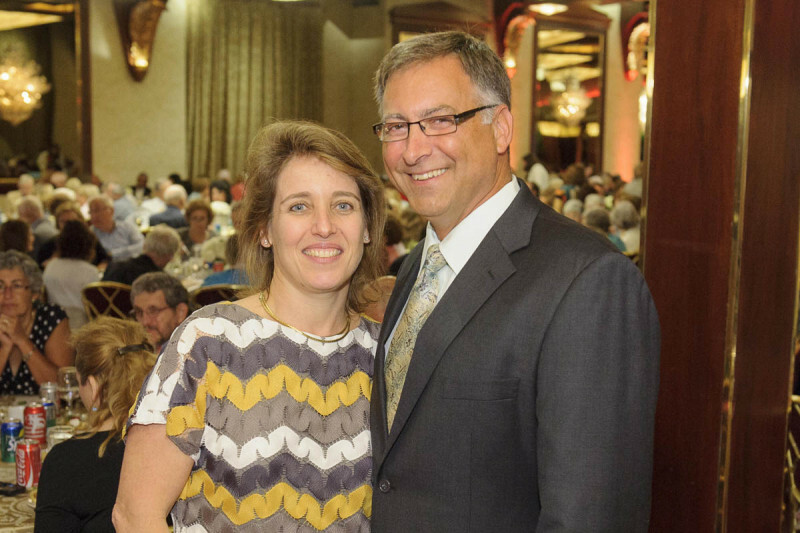 Duane shared his cancer survivorship story at the 2010 celebration. 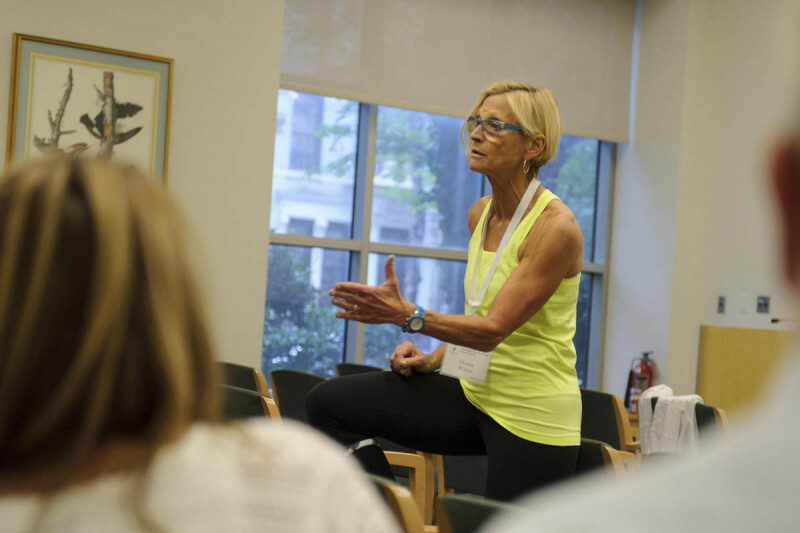 Manhattan Survivorship Celebration -- Personal trainer Donna Wilson energizes the audience with tips on how to improve fitness after cancer treatment. Manhattan Survivorship Celebration -- Massage therapist Wendy Minor describes how touch therapy can soothe pain and discomfort. Basking Ridge Survivorship Celebration -- The first cancer survivors and their guests, caregivers, and medical staff arrive at Memorial Sloan Kettering Basking Ridge’s annual celebration of National Cancer Survivors Day in Bridgewater, NJ. 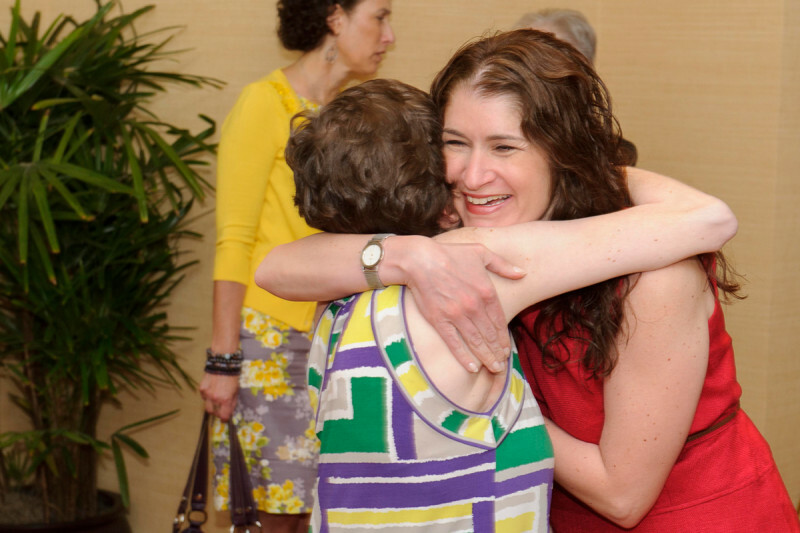 Basking Ridge Survivorship Celebration -- Twenty-eight-year-old breast cancer survivor Elizabeth “Lizzy” Peck embraces oncologist Deena M. Atieh Graham (right). Basking Ridge Survivorship Celebration -- Cancer survivor Janet Mack (right) catches up with her physician, Helen L. Sidebotham, a radiation oncologist at Memorial Sloan Kettering Basking Ridge. 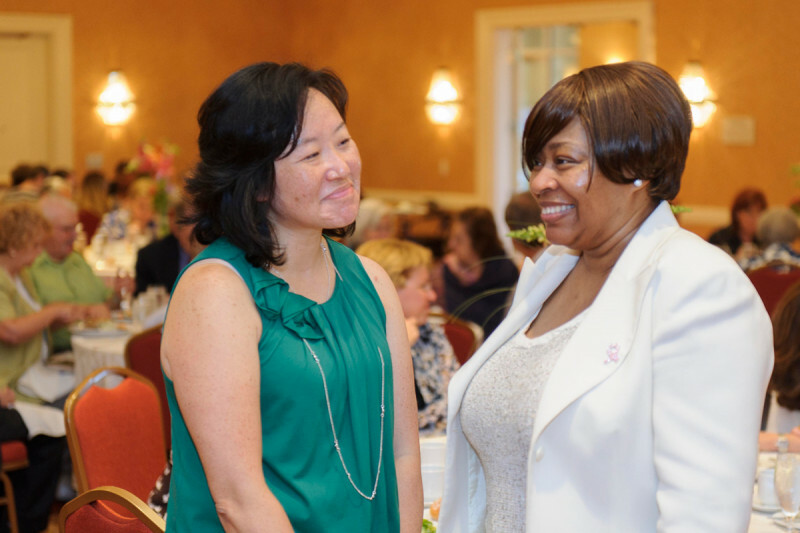 Basking Ridge Survivorship Celebration -- Nearly 500 local-area cancer survivors and their guests, caregivers, and medical staff from Memorial Sloan Kettering Cancer Center Basking Ridge gathered in observance of National Cancer Survivors Day. 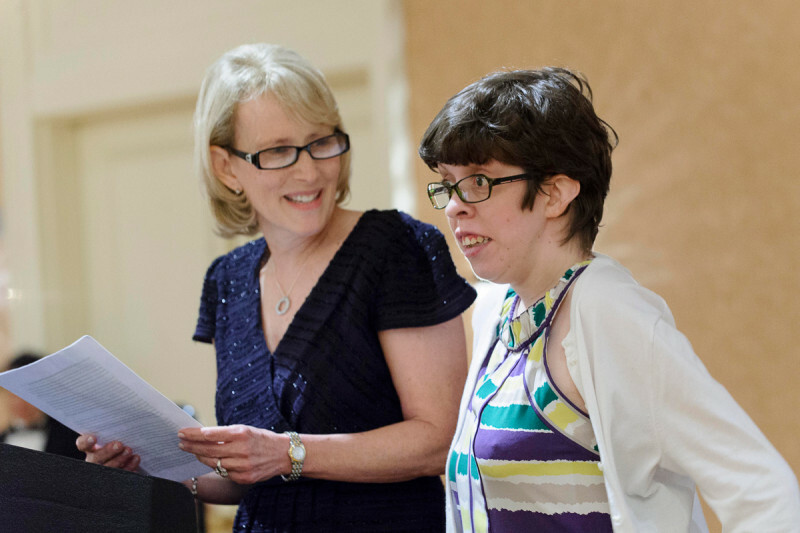 Basking Ridge Survivorship Celebration -- Summit resident Linda Peck (left) shares her daughter Lizzy’s story with nearly 500 local-area cancer survivors and their guests, caregivers, and medical staff. 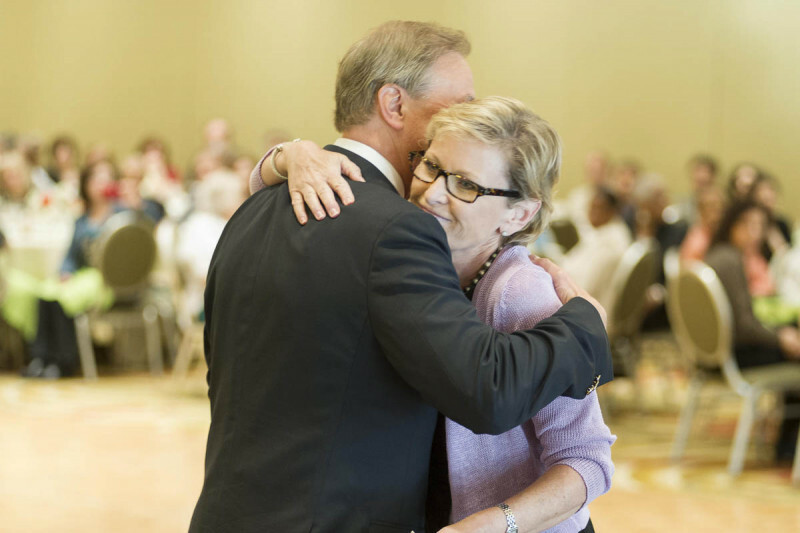 Sleepy Hollow Survivorship Celebration -- Kate Conn, survivor of stage III breast cancer (right), gets a hug from her radiation oncologist, Borys R. Mychalczak, after sharing her story with nearly 300 Westchester-area cancer survivors and their guests. 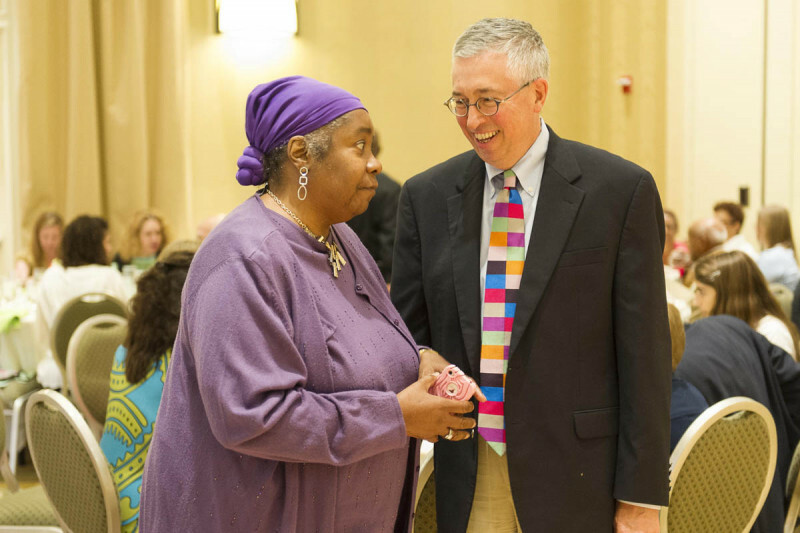 Sleepy Hollow Survivorship Celebration -- Breast cancer survivor Victoria Johnson (left) catches up with Sleepy Hollow oncologist Philip C. Caron at Memorial Sloan Kettering Sleepy Hollow’s annual celebration of National Cancer Survivors Day. Sleepy Hollow Survivorship Celebration -- Breast cancer survivor Amy Albalah (second from right) poses with her family and her oncologist, Carolyn Wasserheit (center), at Memorial Sloan Kettering Sleepy Hollow’s annual celebration of National Cancer Survivors Day. Long Island Survivorship Celebration -- Head and neck cancer survivor Joseph Minogue (right), a former New York firefighter and 9/11 first responder, poses with his oncologist, Daphna Y. Gelblum, at Memorial Sloan Kettering’s Long Island celebration, attended by nearly 1,000 cancer survivors and guests. Long Island Survivorship Celebration -- Craig B. Thompson, Memorial Sloan Kettering’s President and CEO, delivers the keynote address at the Long Island celebration of National Cancer Survivors Day. 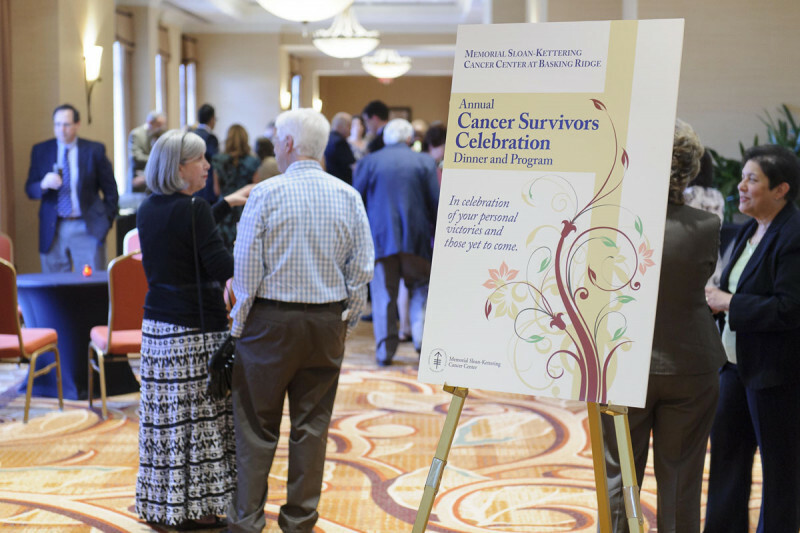 Feelings of joy, hope, and camaraderie were apparent among the more than 2,000 patients and their guests, caregivers, and healthcare providers who attended our cancer survivorship celebrations last month. Memorial Sloan Kettering hosted four events in observance of National Cancer Survivors Day® – an annual fete where patients treated at our center in Manhattan and our outpatient treatment facilities in Sleepy Hollow, NY, Commack, NY, Hauppauge, NY, Rockville Centre, NY, and Basking Ridge, NJ, connect with other survivors, celebrate milestones in their cancer journeys, and recognize the medical staff, families, and friends who have supported them along the way. 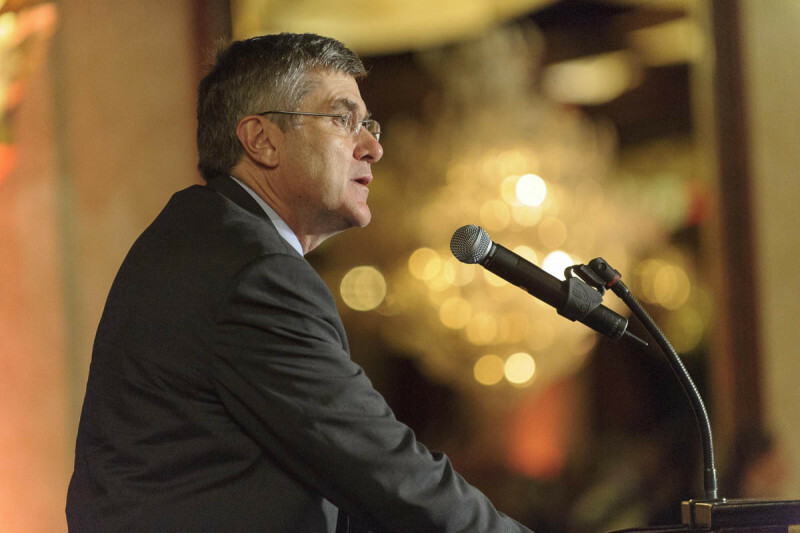 “Today, up to two-thirds of patients diagnosed with cancer are still alive and cancer-free five years after their diagnosis,” says Craig B. Thompson, President and CEO of Memorial Sloan Kettering. 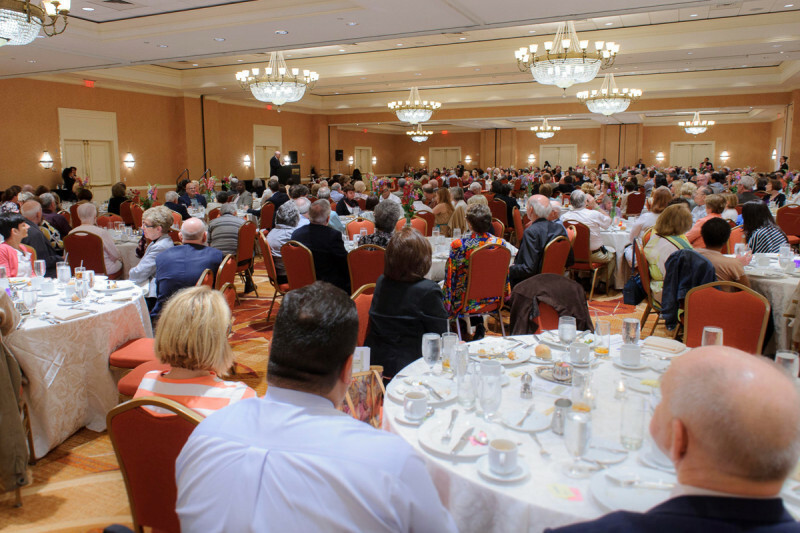 “That’s an incredible accomplishment, and we are proud to help you reach that goal and partner with you as you move further into survivorship, reenter your life, return to work, resume care for your family, and participate in your community with your neighbors,” adds Dr. Thompson, who was the keynote speaker at the event held on Long Island. Other speakers featured at the celebrations included Academy Award–winning actress Kathy Bates, who shared her experience as an ovarian cancer survivor at the event in Manhattan; Fred Jacobs, former Commissioner of the New Jersey Department of Health and Senior Services, who discussed the importance of smoking cessation at the event in New Jersey; and breast cancer survivor Kate Conn, who spoke at the Westchester event about her motivation to co-found The Wig Exchange – a network that provides well-cared-for wigs to women with cancer who live in that county. There are approximately 12 million cancer survivors in the United States, many of whom face potential difficulties with treatment, access to insurance, employment, or psychological struggles. 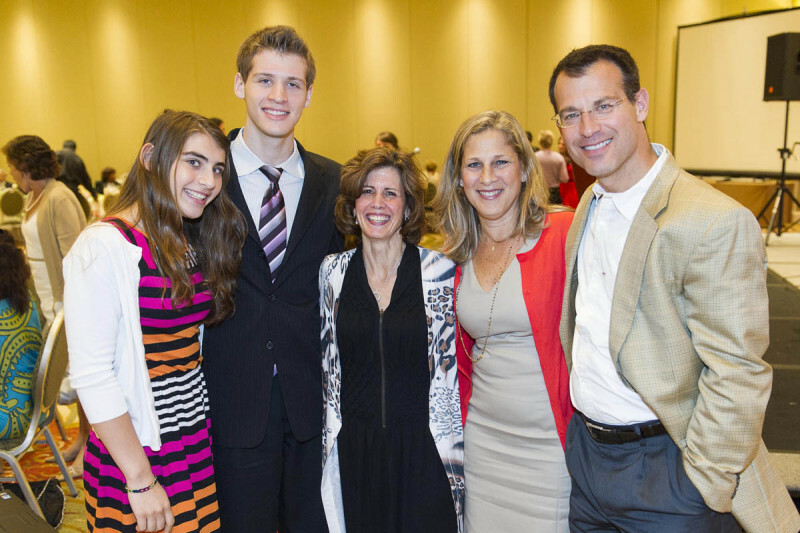 Memorial Sloan Kettering’s survivorship events give patients and staff the opportunity to celebrate the fact that life after a cancer diagnosis can be meaningful, active, and productive, despite these issues. 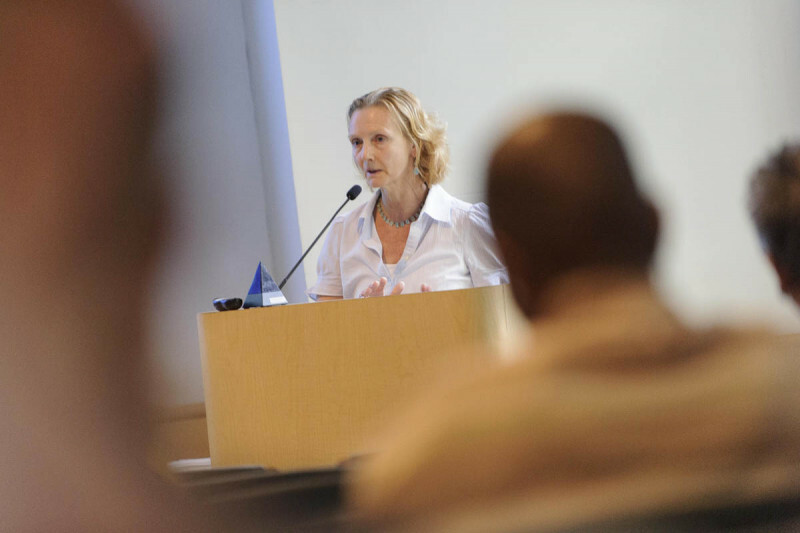 Memorial Sloan Kettering’s survivorship program addresses many of the concerns that cancer survivors contend with after cancer treatment ends. It offers resources specifically designed for them, including information about follow-up medical care and emotional support services. My story is that of hope and faith.I was diagnosed with stage 4 lymphoma in Feb of 2010 and already had other underlying issues that my body was fighting. iI was told that I had at best a 30% chance of surviving surgery and make it to treatment so i can start chemo which might not work. I was lucky to be blessed with a bunch of great warriors and angels,i call them, at Sloan-Kettering. they helped me get to the point where my body at best was able to try chemo. it was a long hard fight but one i did not do alone.I was blessed. I would see the children smiles as the fought and realized I had no right to complain even though at times the pain was so great it was easier to give up especially when i came out of a coma do to brain bleed. The team would not allow me to quit. my first 6 months after chemo were rough waiting for that scan but with prayer and meditation i waited. REMISSION is what they told me. 1 year later still here and today i am in training to run alongside Freds Team in the ING new york city marathon. These stories/celebrations give me hope...I am looking forward to the day when I can celebrate along side you all. I am now nine months out from a bone marrow transplant and feeling well. Please let me know what I can do to help spread the word about your wonderful work. When is Survivors day,hope you don't forget us. Hi Jean. This year’s Survivors Day is June 10, 2013.
wow, how do I keep missing this? ?